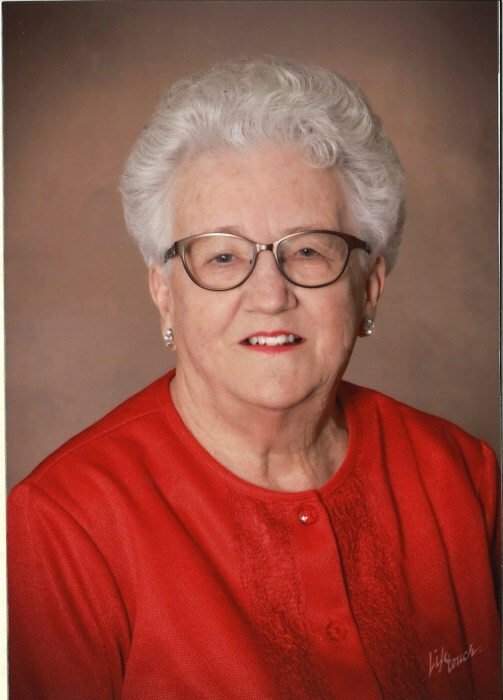 Funeral services will be held on Wednesday, April 17,2019 at 11:00 A.M. in the Chapel of Albritton Funeral Directors with Brad Padgett, Grandson and the Rev. Joseph Carter officiating. Mrs. Driggers will be laid to rest at Mt. Calvary United Methodist Church Cemetery. The family will receive friends from 10:00 a.m. to 10:45 a.m. before the service at the funeral home. Grandsons and nephews serving as pallbearers are Matthew Driggers, Philip Hankins, Greg Williams, Clint Flowers, Doug Petty and Richard Petty. Betty was born November 29, 1940 to her parents, Johnny and Mildred Tucker Flowers, both deceased. She grew up in Tift County and graduated from Tifton High School. Her siblings are her dearest friend and sister, Linda F. Petty of Chula and her late brother, Larry Flowers of Avery, GA. She was of the Methodist Faith and her favorite bible scripture was Psalm 23. She was preceded in death by her husband of (43) years, Rev. Clarence E. (Buddy) Driggers, Jr. They served together in ministry at Remerton United Methodist Church, Remerton, GA and Pineview Finleyson United Methodist Church, Pineview, GA. They were also directors of the Dooly County Campground in Vienna, GA for seven years. She was also preceded in death by three brothers-in-law, Gene O’Quinn, Charles Petty and Rob Turner; and one sister-in-law, Mary Frances Driggers Turner. Together they had two children: David Driggers and his wife, Gwen of Ashburn, GA and Debbie Driggers Padgett and her husband Robert, of Chula, GA. Survivors include an adopted son, Ric Cruz of Smithfield, NC; and her grandchildren’s mother, Shay Grist Kennedy of Tifton; Six Grandchildren, Ashley Driggers Williams (Greg), Becky Padgett Hankins (Philip), Kathy Fulghum (Ross), Matthew Driggers (Anna), Brad Padgett (Jessica) and Caley Driggers; Ten Great-Grandchildren, Riley Williams, Mallory Hankins, Amelia Padgett, Macy Hankins, Reese Williams, Ridley Williams, Avery Padgett, Bellamy Fulghum, Griffin Driggers and Hadley Driggers. She is also survived by two sisters-in-law, Beth Flowers of Avery and Ann O’Quinn of Tifton; and several loving nieces and nephews. During her working life, she served as the lunchroom manager at the former Annie Belle Clark and Northside Elementary schools in Tifton and as a cross-guard for Valdosta City Schools. Although Betty lived a quiet life, it was rich and full. She loved her family, especially her grandchildren and she was extremely independent and known for her talent of whistling, passion of crocheting lap blankets for nursing home patients, beautiful baby blankets and a great love for reading, flowers and fishing. She studied her Bible and journaled daily. She was particularly fond of her dearly beloved pets, Scooter and Honey. Special thanks to Regency Southern Care Hospice and Mrs. Brenda Miller and her team of sitters for their exceptional care and assistance during her illness.